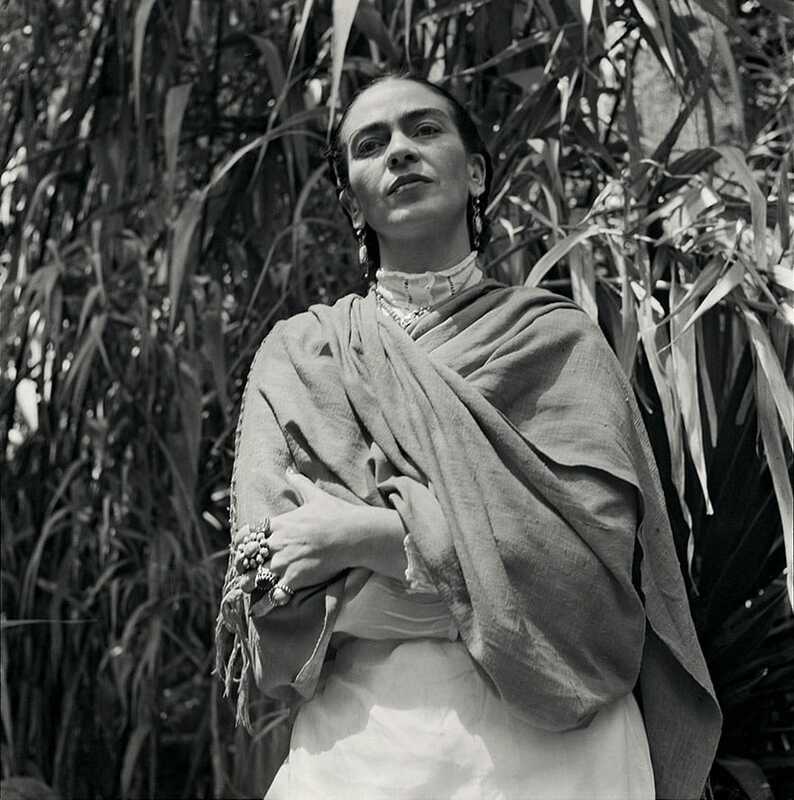 Frida Kahlo artistic legacy is still inspiring people today, her fame has only grown since her death and will continue to do so. 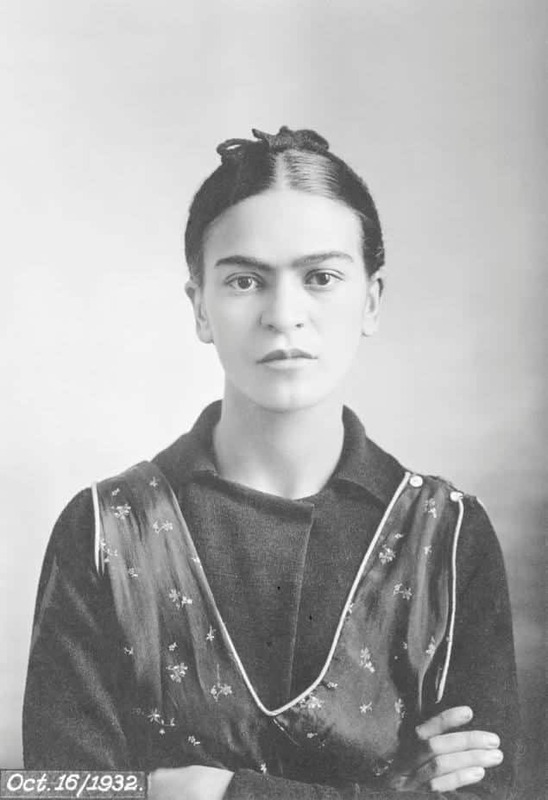 Born on July 6th, this year would have been Kahlo’s 110th birthday. She was an inspirational woman that the world will not easily forget and always will be an example of female creativity that’s why she deserves a fitting tribute to her memory today. 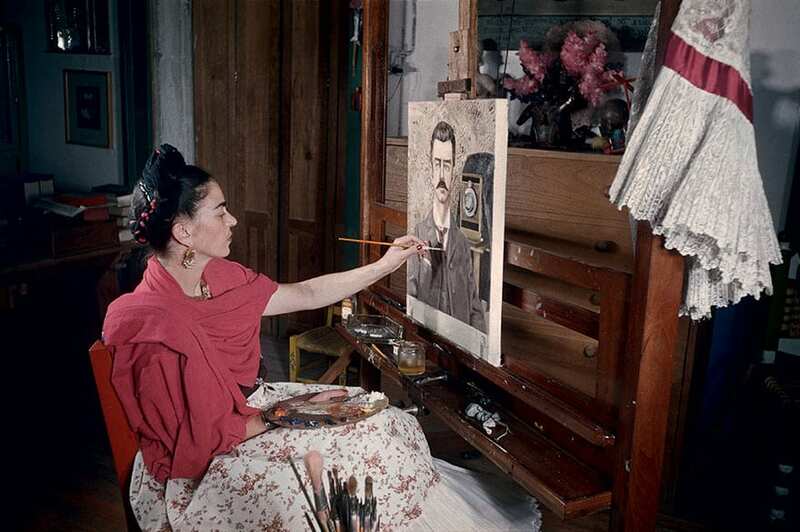 Frida Kahlo believed her work was entirely inspired by her own reality but there’s much more of to tell about Kahlo’s life than all revealed in her paintings. 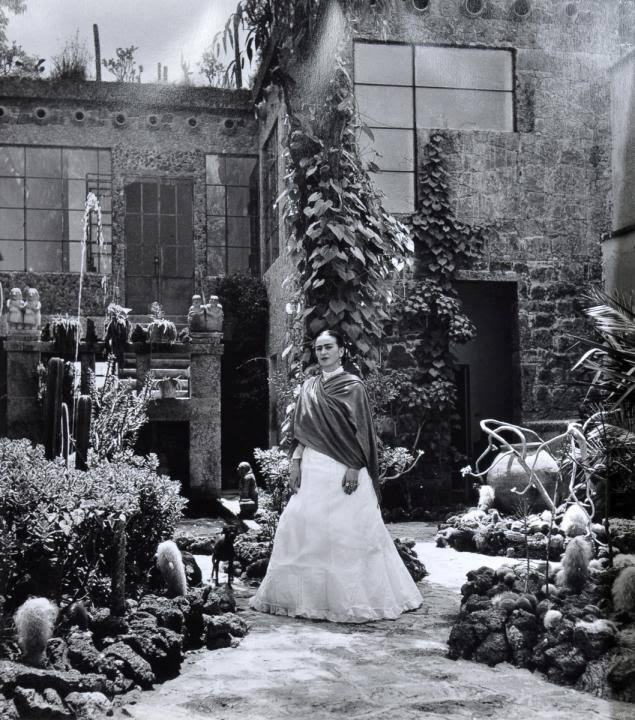 Recently a photo collection was published by Harry N. Abrams in an exhibited at Throckmorton Fine Art in New York City entitled “Mirror Mirror” that was taken in the early 50s, documenting Kahlo’s happiest times while sharing with friends and family. 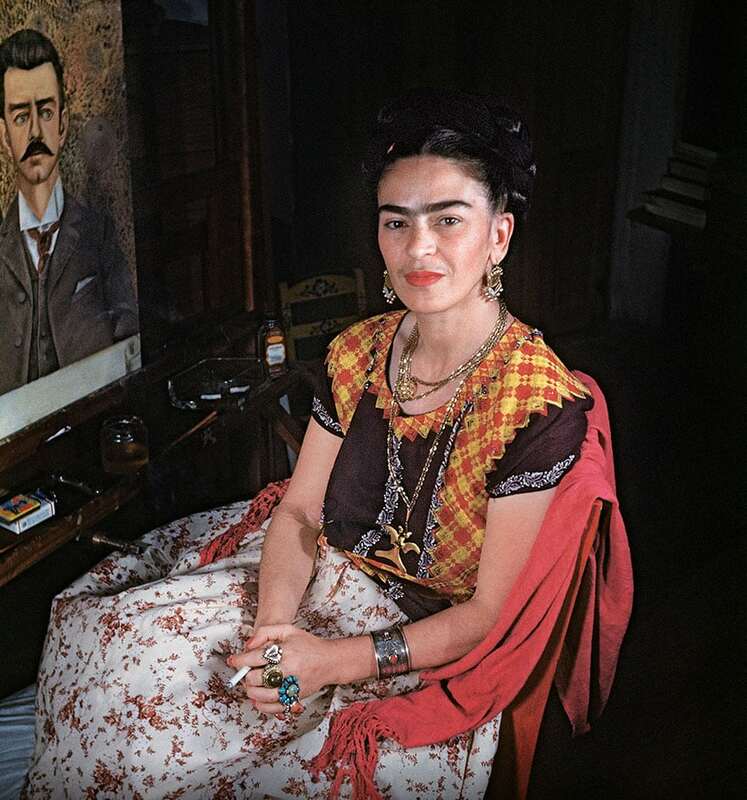 Let’s celebrate Kahlo’s legacy on her 110th birthday by taking a look at this rare never-seen-before photo biography captured by legendary 20th-century photographers. 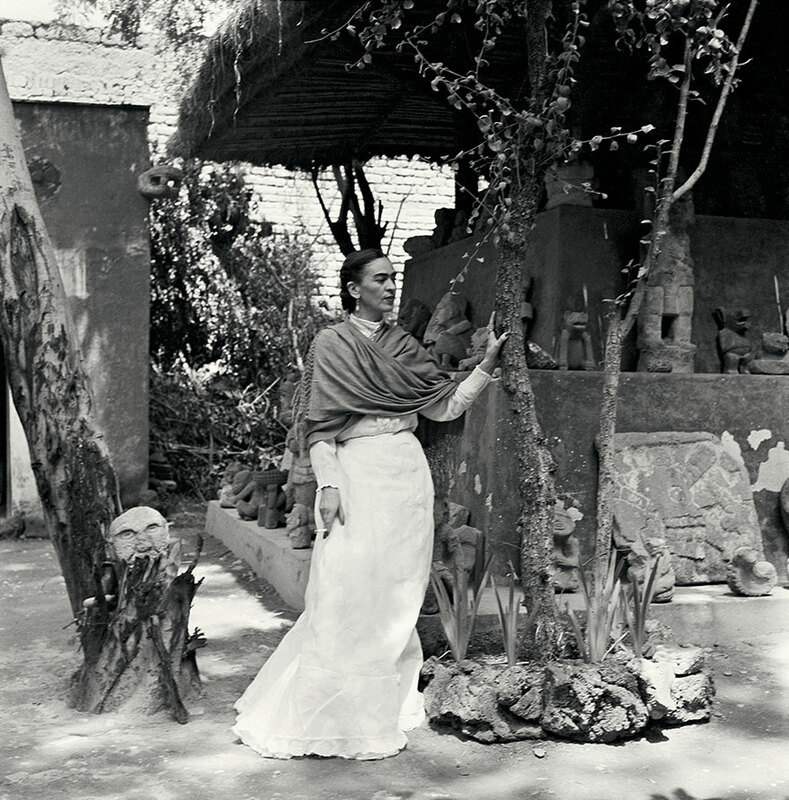 Kahlo’s life was ruled by passion, love, strength in pain, endurance and loss. 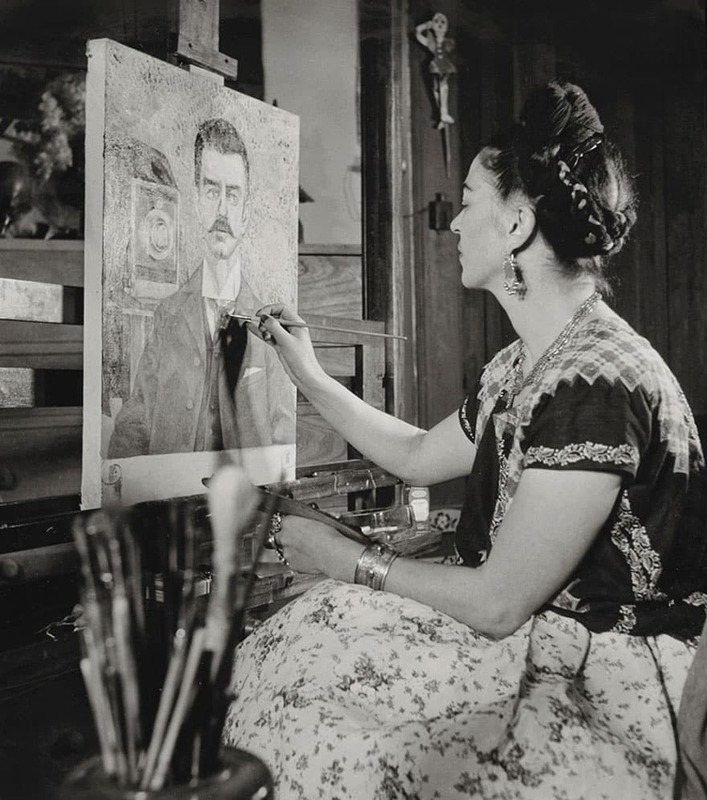 Kahlo fell for Rivera in 1928, when he encouraged her to believe in herself and her work. 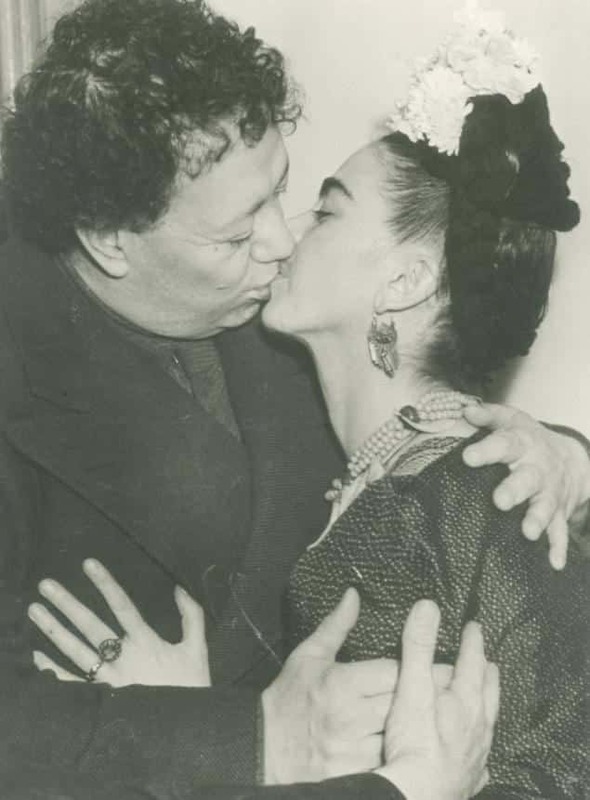 Frida Kahlo married Mexican painter Diego Rivera, against her mother approval. 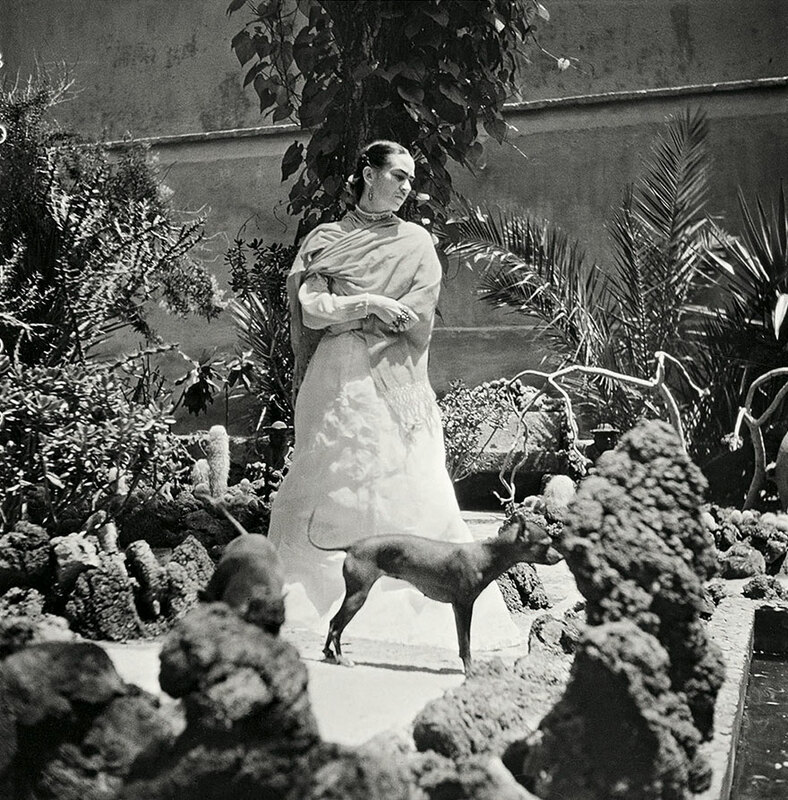 Kahlo and Diego’s marriage went onto turbulent days due to their numerous extramarital affairs. 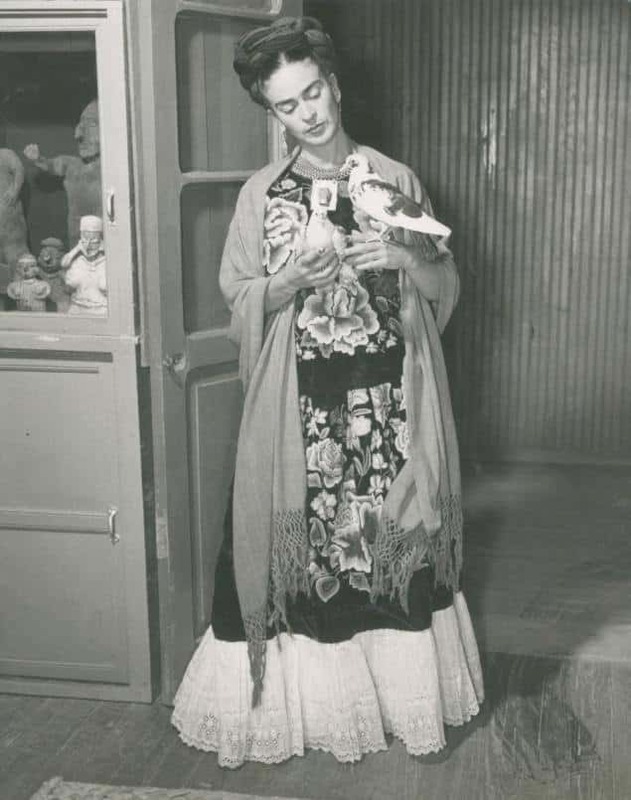 It was rumored that Frida Kahlo’s relationship with Mexican singer Chavela Vargas was, in fact, a lesbian affair. 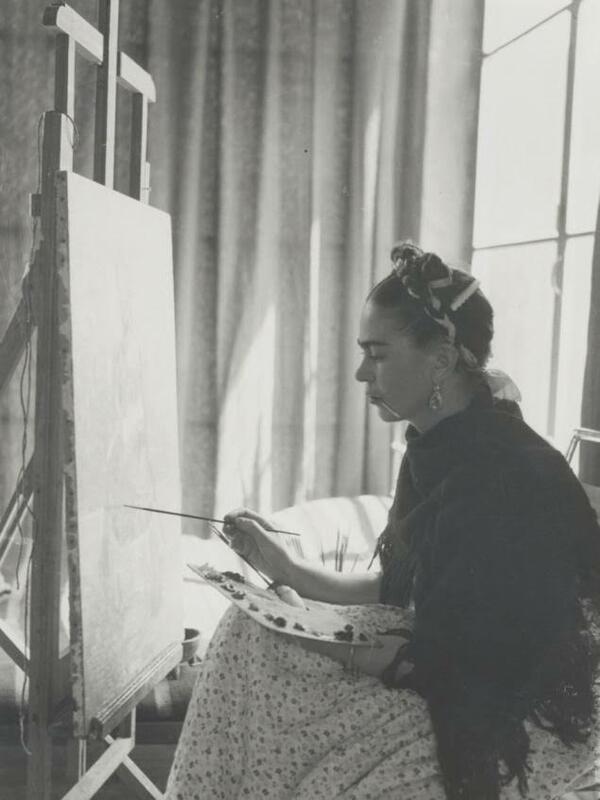 On July 4 the iconic painter suffered a miscarriage at Henry Ford Hospital in Detroit. 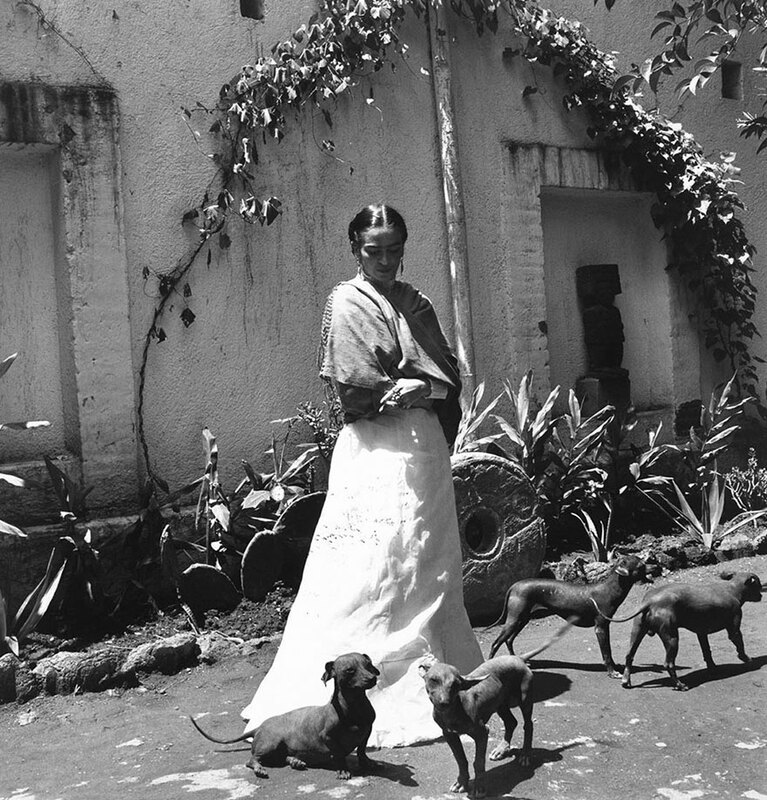 Since she never had kids, Frida Kahlo focus her maternal love on her pets, including dogs, cats, monkeys, and birds. 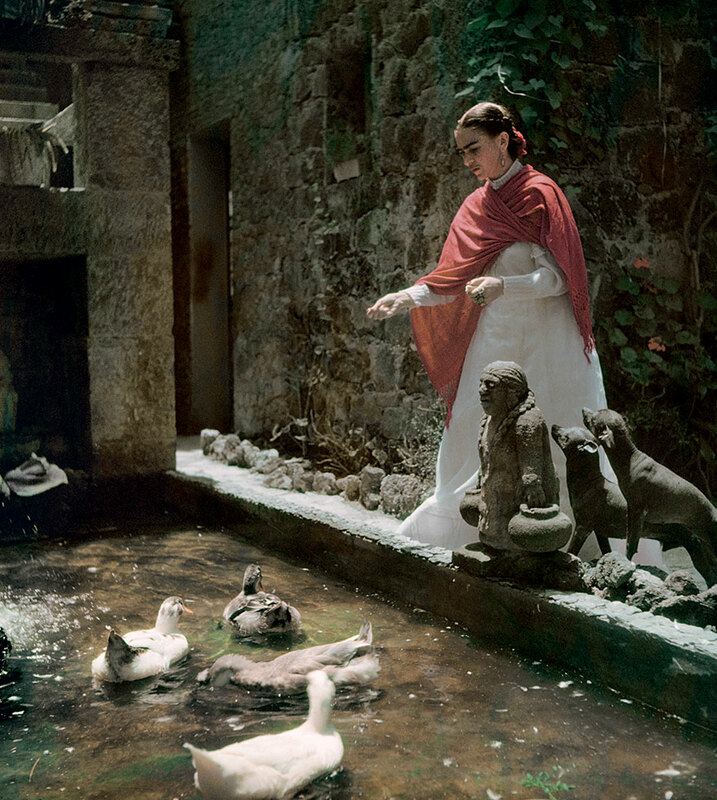 The Mexican artist frequently featured her pets in her painting, especially her monkey, Caimito, which in Mexican mythology is a symbol of lust. 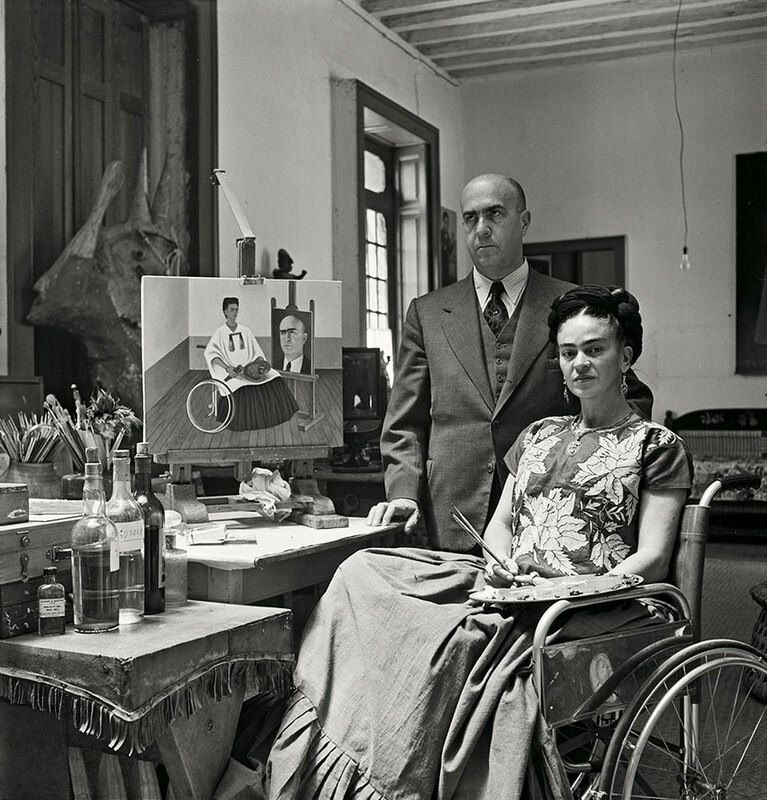 Frida Kahlo finds her voice on painting after she went immobilized by a bus accident. 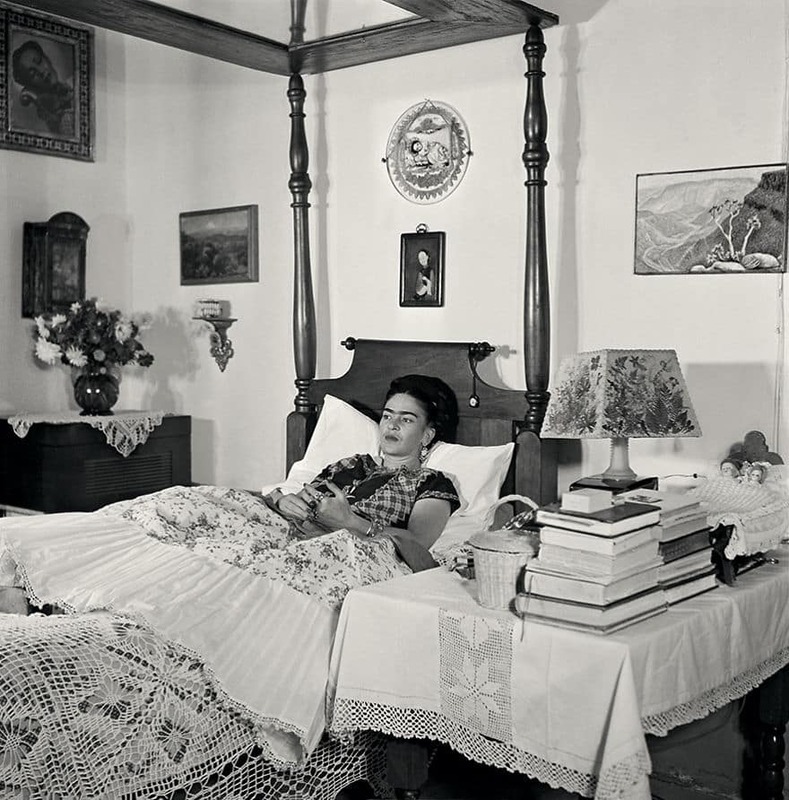 After her bus accident, being in bed didn’t stop Frida Kahlo from being creative. The artist always found the way to express herself through painting, even on her own body. 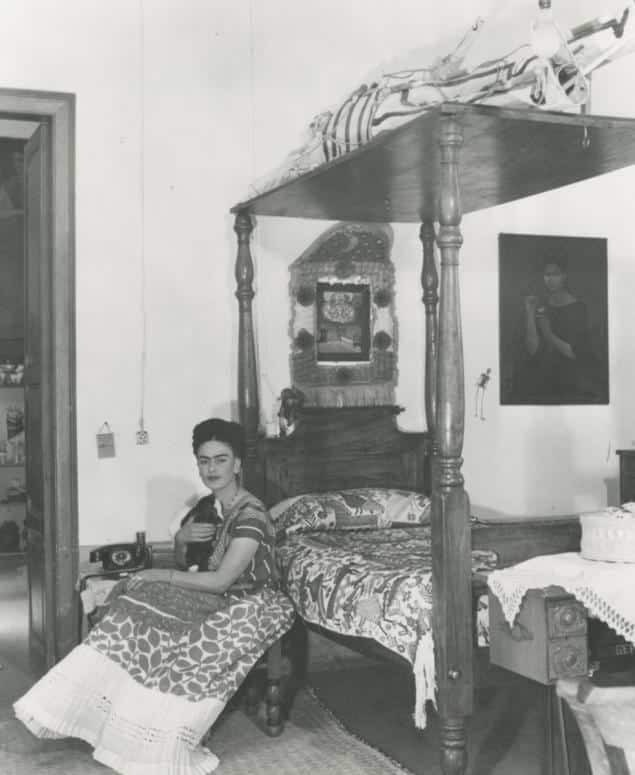 Her mother helps her with a special easel made for the artist, so she could paint from the comfort of her bed. 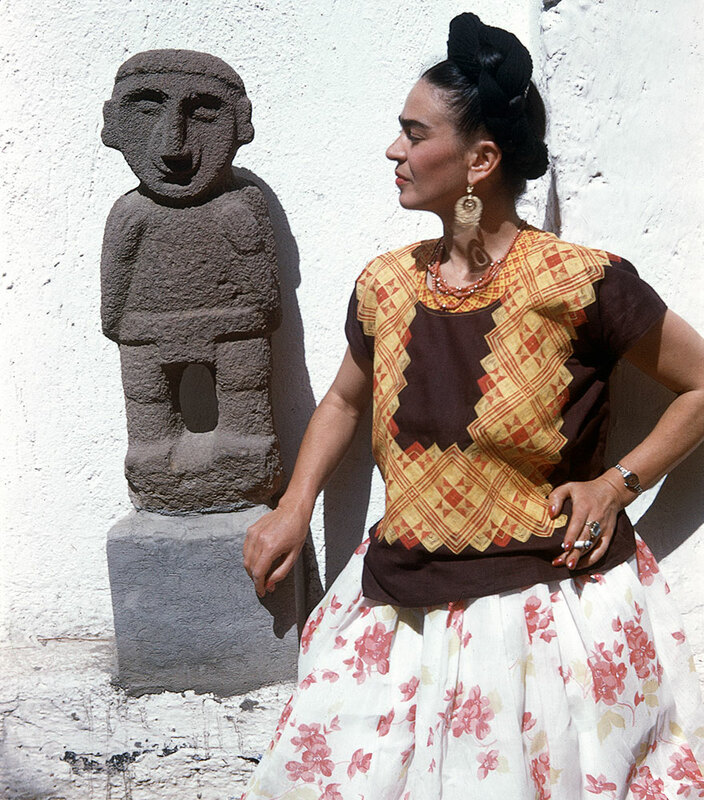 The clothing that she used to wear were traditional women’s blouses and skirts from the indigenous Mexican tribes from Oaxaca. 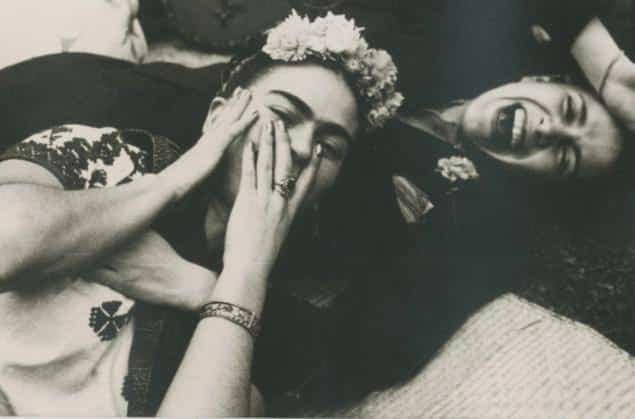 Kahlo was always a political enthusiast. She was a strong political figure as a communist artist on late 1929. When she was young, at the age of 6, she contracted polio, which caused her to limp when she walked. She did recover from the illness, but it damaged her right leg and foot forever. Her health became a real issue in late 1950. After she was diagnosed with gangrene in her right foot. She spent nine months in the hospital, in which she got several operations during this time. 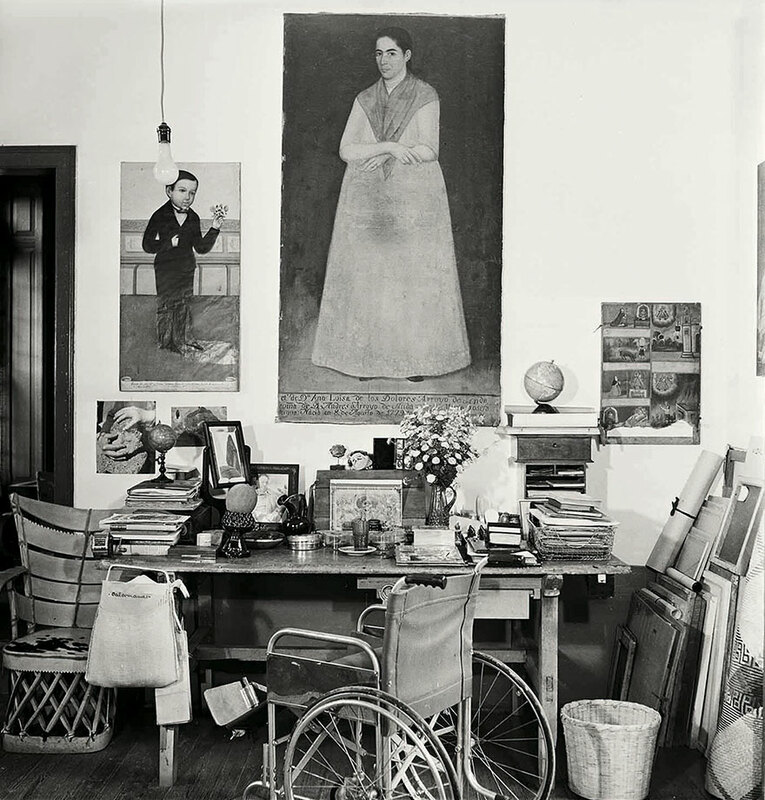 Although, her limited mobility, she continued to paint and support political causes. 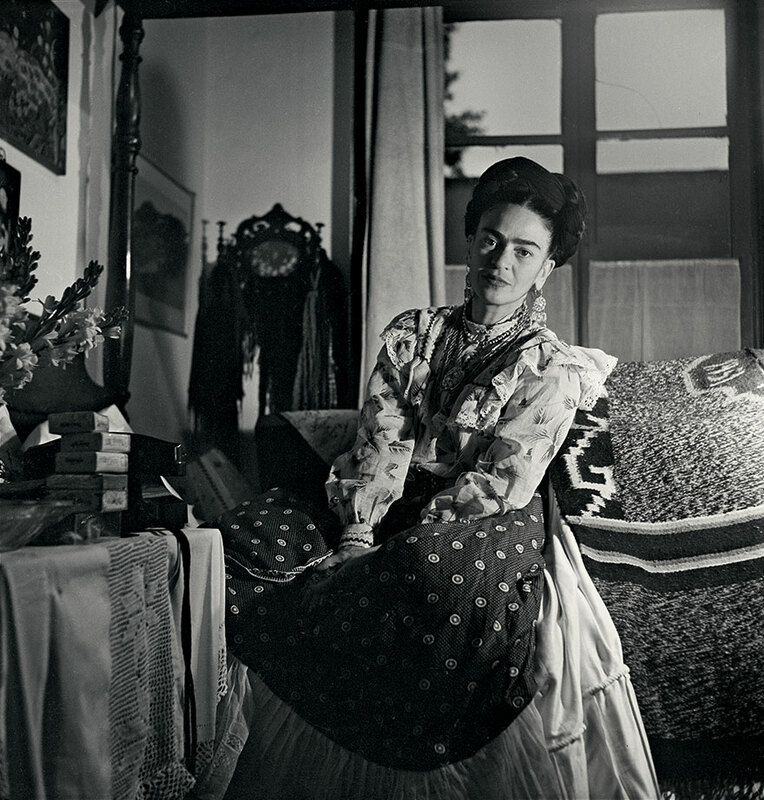 Kahlo was hospitalized due to a suicide attempt and chronic depression. Two months later, she returned to the hospital with bronchial pneumonia. 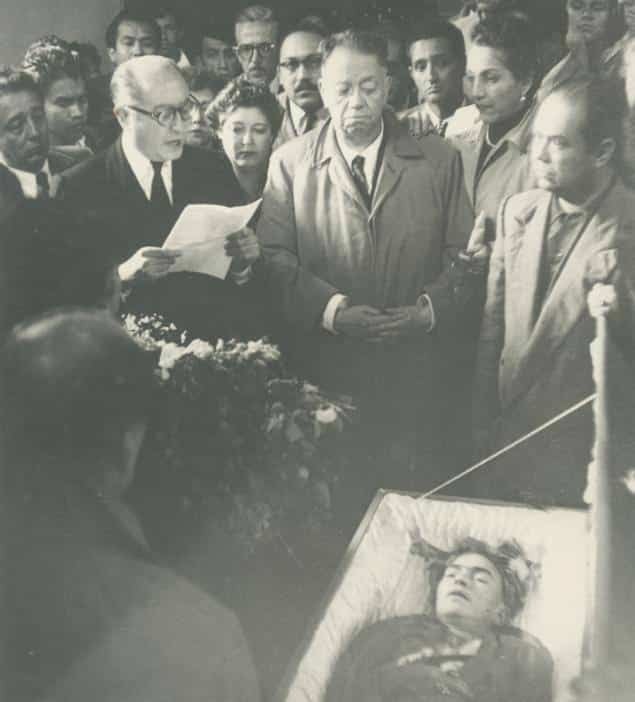 Her last public appearance was a political performance against the U.S. backed overthrow of President Jacobo Arbenz of Guatemala. 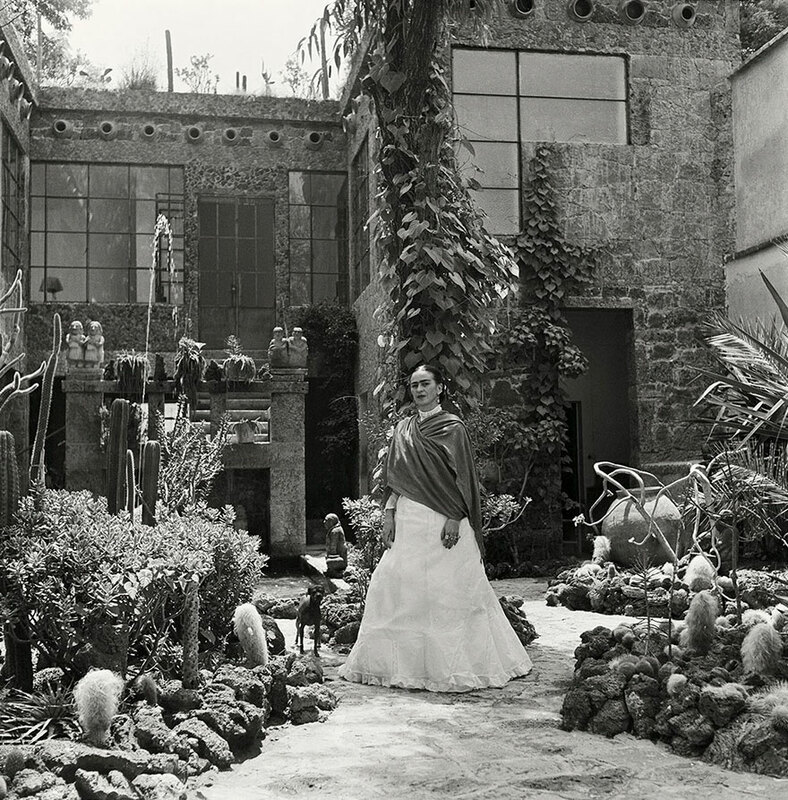 Only one week after her 47th birthday, Kahlo died on July 13th at her Blue House. 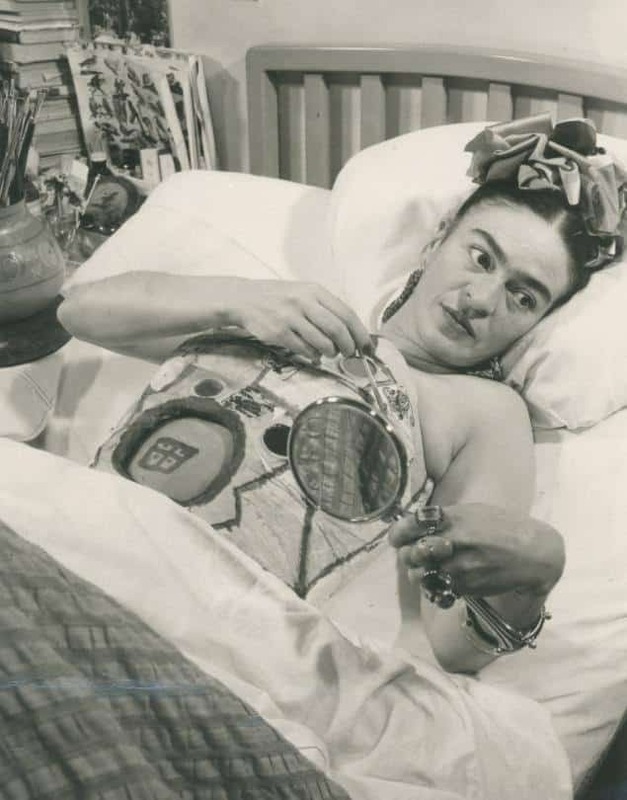 Frida Kahlo died from a pulmonary embolism. However, some sources suspect that, due to her attempts of suicide history, she could have died from an overdose. 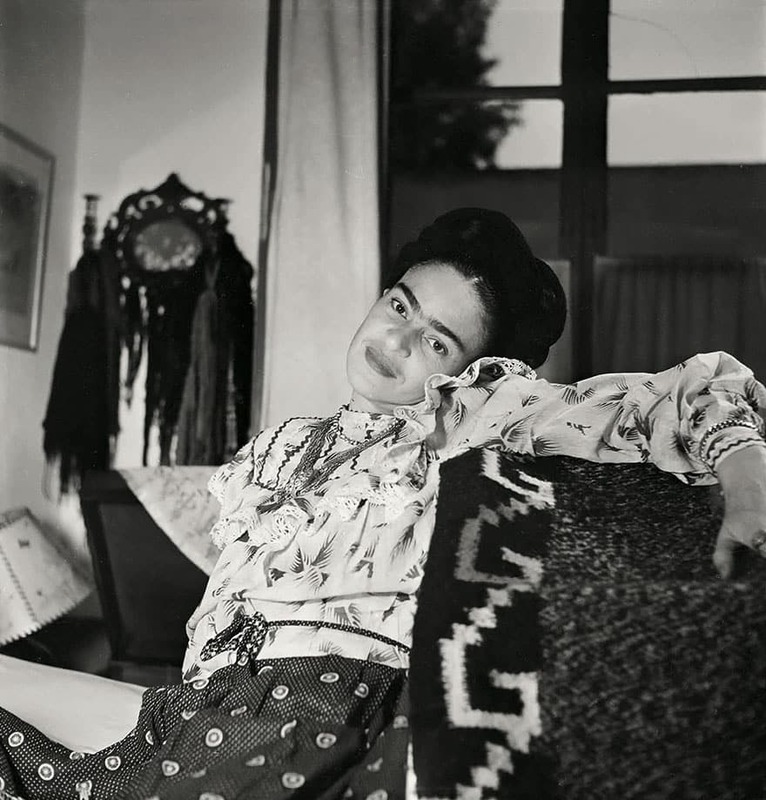 Let’s celebrate Frida Kahlo’s life, work, and legacy. 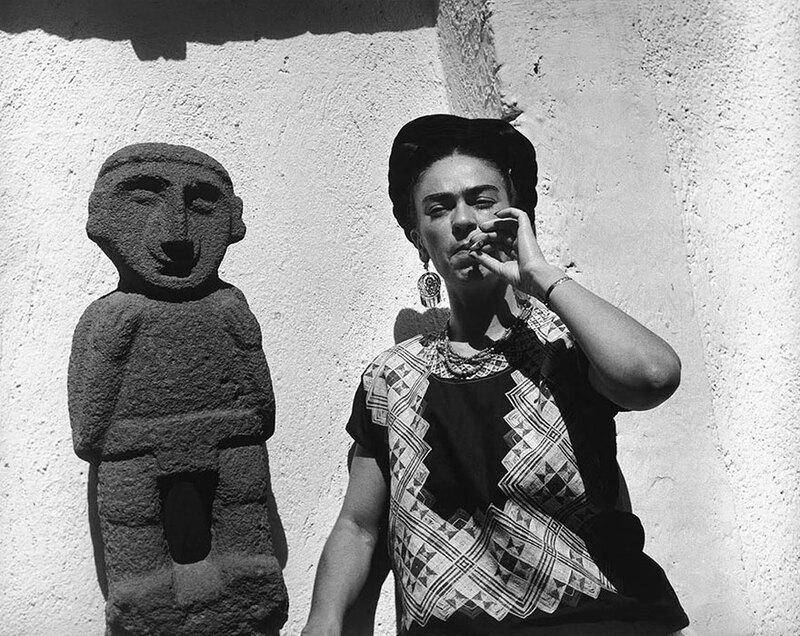 Frida Kahlo will never be forgotten.